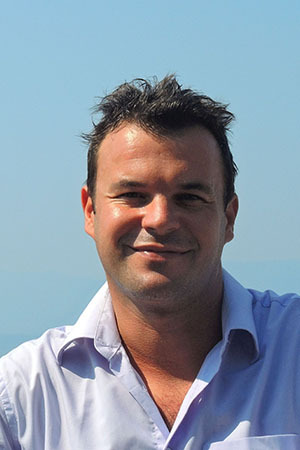 5 Oceans Marine Group is excited to announce the addition of our new associate broker in Croatia, Zvonimir Kalinić. Zvonimir, or “Ze”, comes from the Island of Krk, the largest Croatian island. As he has always been adventurous, the coast of the Adriatic Sea was the perfect location for various hobbies that have now become his profession. His real love for the sea began when he started scuba diving. With his family having a diving boat, Zvonimir discovered the most beautiful places in the area. It was not long until he realized that he couldn’t work or live anywhere else but by the sea. Sailing, underwater photography and spearfishing are just some of his hobbies. After completion of Nautical University in Dubrovnik (diploma in Maritime Technologies of Yachts and Marinas), he found his first job on a 60 meter luxury yacht. From then on, he has worked for years on many private and charter yachts which were cruising the Adriatic and the Meditteranean. After many years of the yachting life he decided to further develop his skills and to use his knowledge in the area of Marine Surveying. For the last couple of years he was involved in various aspects of surveying such as special marine inspections, cargo damage surveys and of course surveys of yachts and small crafts. Zvonimir owned and managed the company, AS Adriatic, and his work was recognized by leading P&I Clubs and insurance companies. His warm personality, extreme enthusiasm and care for customers is a guarantee that selling or buying a boat will be fun experience.